The Grand Prix of Brazil took place this week-end in Rio de Janeiro. There was a small field of 8 players but a lot of motivation from the local club of Vasco de Gama. Marcelo Ramalhete took the honors after defeating Daniel De Matos in the semi and Igor Quintaes in the final. 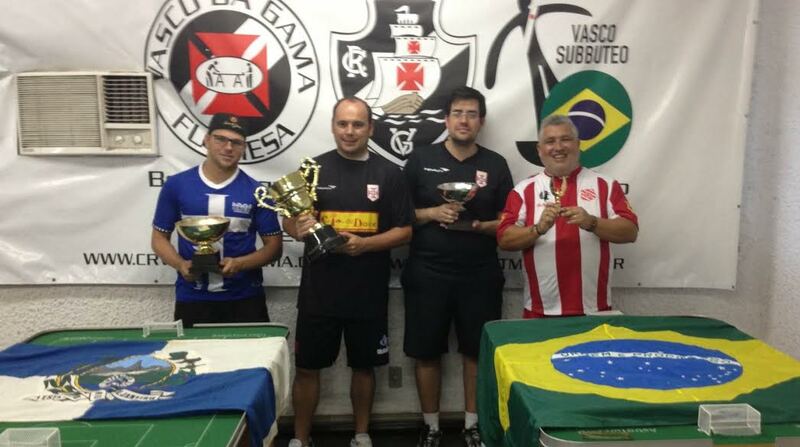 Congratulations and good luck to the players in Brazil for their continuous efforts to develop subbuteo in South America. This entry was posted in FISTF News, Player News and tagged Brazil, Results. Bookmark the permalink.